KTouch is FREE and offers you an easy way to learn to type quickly and correctly on a keyboard. Every finger has its place on the keyboard with associated keys to press. Starting with only a few keys to remember you will advance through different training levels while additional keys are introduced. As a result you will be able to type quickly and accurately. This is because you no longer need to search for the keys on the keyboard and because you will definitely be using more than just two fingers. 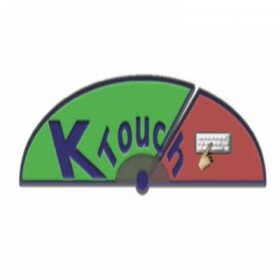 KTouch indicates the keys you need to press and the finger you need to use for that key on the screen. You don't have to look down on the keyboard to search for the key. You will therefore get used to looking at the screen only and hence learn touch typing much faster.